We want to educate our New York customers. The more you know about your system, the better choices you can make! You are viewing a typical split system air conditioner and furnace configuration found in most Syracuse and Central New York homes. 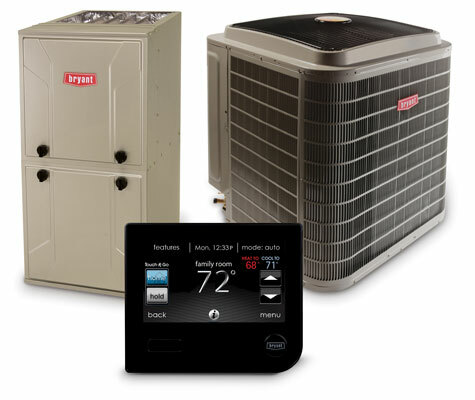 This split system also features optional advanced indoor air quality products. See below for a detailed description of how an air conditioner (or heat pump) and gas furnace work together to provide comfort for your home. For fast Syracuse and Central New York air conditioning repair or heating repair service for your home, call JD Marx at (315) 461-0032 today!